Over the last 5 years or so, I’ve become addicted to using herbal teas as remedies. I use it for pregnancy and childbirth, I use it for coughs and congestion, I even have one that’s a great immunity booster. So naturally, I’d decide to make a nursing support tea as well. I first came across teas to help nursing mamas when I was struggling to make enough milk for my third baby. I was desperately trying everything under the sun to help increase my milk supply. In that desperation, I bought a box of pre-bagged nursing tea. In my case, it didn’t help much and it tastes like licorice. I’m not sure why it didn’t help much, maybe it’s because I wasn’t able to drink a lot of it because of the taste… in any case that was my first experience. I gave up on that tea and found other means of increasing my milk supply like fenugreek. By the time I got to my fifth baby, I had things figured out. I was more aware of just what my body needs in order to have a decent supply. Did you know that’s why there are many ways of increasing your milk supply? Not everyone responds well to the same remedies! So when baby number five slowed down just a wee bit in her growth percentiles, I started on my usual methods… but I added one new one; a nursing support tea. Now when I say nursing support tea, I mean support… not mega milk maker. While this tea might help some women increase their milk a lot, I like to think of this tea as more of a constant helping hand to keep milk supply where it should be. That is how I use it. 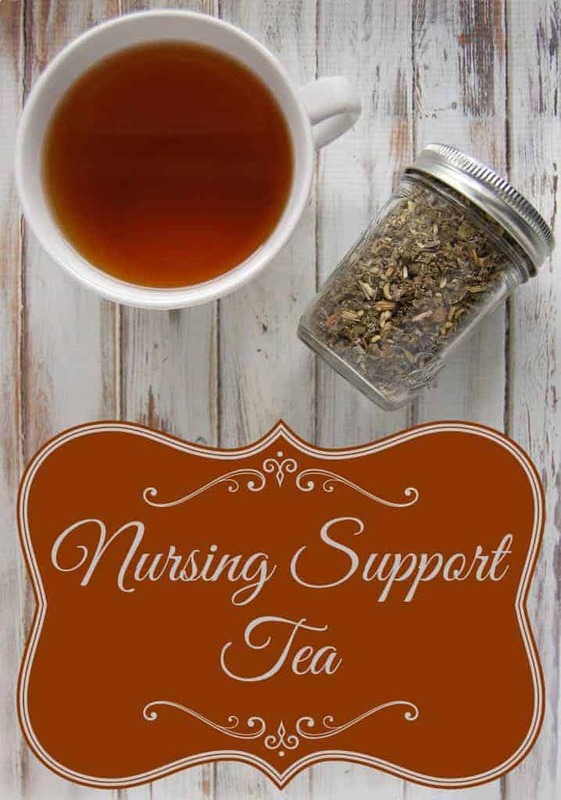 I got my milk supply up using my favorite methods and then used this nursing support tea to help keep it at the proper levels. This tea blend is very similar to my pregnancy tea blend. 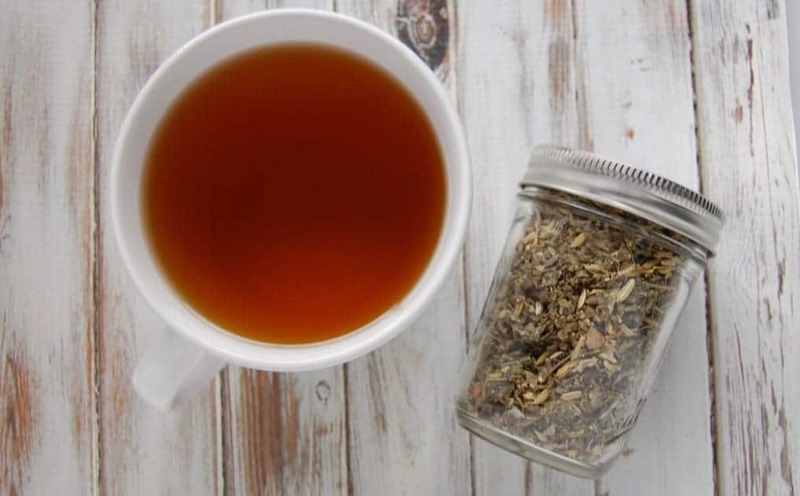 This is especially handy because if you have been using that blend all through your pregnancy, you will have most of the ingredients and you’ll be used to drinking lots of tea! If you haven’t been drinking my pregnancy tea, don’t worry all the ingredients are easy to find and it’s easy to work the tea into your daily life. Red raspberry leaf is commonly known as the pregnancy tea. It’s a wonderful tea for all women to drink as it’s very beneficial in uterine health. However, it’s also full of nutrients and can even help boost milk supply thus it is included in this tea blend. It’s full of calcium, iron, magnesium, vitamin A, vitamin C, vitamin E and B vitamins, and much more. Dandelion leaf helps purifier of the blood, liver, and kidneys. These are all great reasons to drink dandelion leaf tea but the reason it is included in this nursing support tea is due to it’s many nutrients. It’s a very nutrient dense tea and that helps support the mother’s body while she is busy producing milk for her little one. Nettle is often a common nutrient dense tea base but I choose dandelion leaf. Why? Well as it turns out dandelion is actually higher in iron and vitamin K than nettle. Dandelion is also high in vitamin A , calcium, and potassium. Fennel is an age old remedy can be used for many issues but increasing milk supply is why I include it in this blend! Fennel seed is the main difference between my pregnancy and nursing tea blends. It can also help upset stomachs and gas not just for the mom but for baby as well. Apparently, the fennel can pass through your breastmilk and help your little one if they are dealing with tummy issues so that’s a nice bonus. High in calcium, potassium, iron, and vitamins A and C.
Drink 2-4 cups each day. Use a tea ball to strain leaves. For making large batches (or if you do not have a tea ball for small batches), use a piece of muslin to strain your tea. Many people can drink this tea without sweeteners but I prefer my tea sweet. Since you will be drinking multiple cups a day, I recommend avoiding the classic sugar route and instead choosing a natural sweetener such as honey or stevia. This tea looks tasty. Try adding some good quality milky oats to this blend. Thanks for sharing your experience, Brittany! wish I’d stumbled across this post sooner! A friend recently dried up after getting sick… Now she is feeding her baby formula, but I know that isn’t what she wanted. Thanks so much for sharing with us on the Homesteader hop! Thanks for sharing this herbal tea recip for nursing mother. 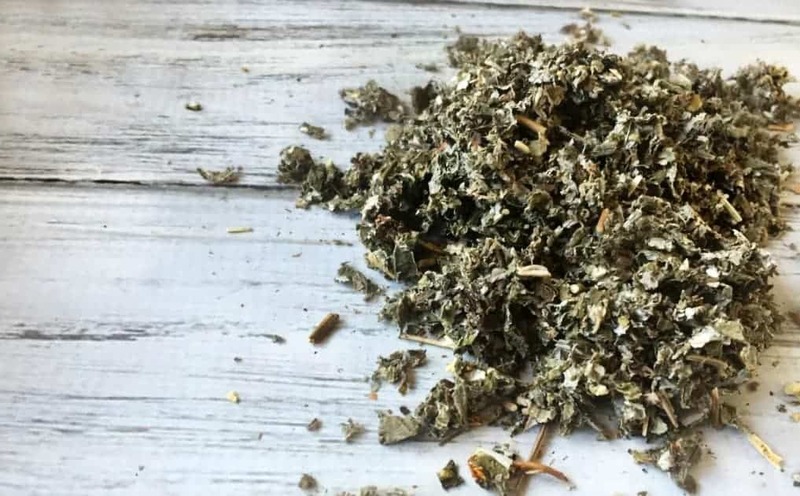 There are so many benefits from using herbs for some many conditions or just staying healthy and this is a great example of how herbs can help. Thanks for sharing on Real Food Fridays. Pinned & tweeted!